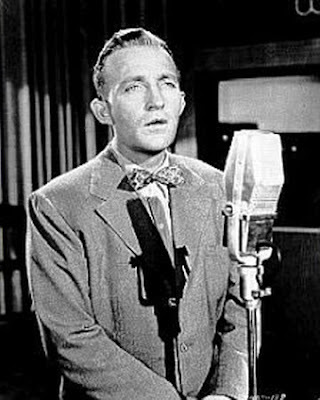 From the folks who brought you "Johnny Bourbon - Crooner Detective", Bing Crosby stars as Rex Fisher - Union Buster! This once-lost radio thriller from 1949 brings us the adventures of Rex Fisher, special agent for the U.S. Department of Labor. His job - stop unions before they stop America! Join Bing as he tangles with Red agents, sultry singers, and the recipe for the perfect Sloe Gin Fizz! The show is sponsored by Farnsuckle Toothpaste of Parsippany, NJ (natch). The Club Chair. What is it and why is it a Lounge Essential? Let us turn to the dictionary. The Club Chair: a heavily upholstered easy chair with arms and a low back. Uhh...ok...let us turn away from the dictionary. The Club Chair: the ample seat, first created for the exclusive use in upper crust gentlemen's clubs of the 1850’s. In a time of empire building, robber barons, and the liberal consumption of scotch “thinking oil”. That’s more like it. The club chair continues its' role in modern New York’s private social clubs, utilizing dark woods, and sturdy leather for the upholstery. Elegantly simple, club chairs can be quickly rearranged to create conversation or to settle around the backgammon table. 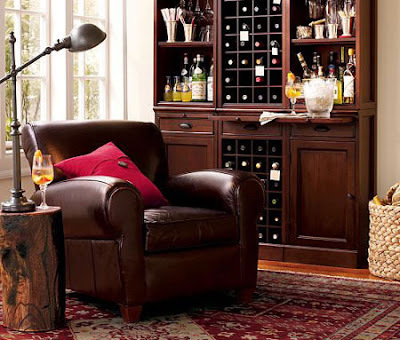 In fact, the club chair has begun to move beyond such hallowed halls and is finding its way into cigar bars, lounges, and home libraries. Cost of ownership? In no uncertain terms: big bucks. A premium natural-grain, hand-rubbed leather club chair combines high end materials with skilled artisan-hours. They require as many as five leather hides, a team of upholsterers, and a full week of bench labor to complete. Pricing starts just shy of two grand dollars and continue up past $10,000. Distressed leather versions feature a durable surface that requires very little maintenance; good for a couple with … say…twins. Full aniline leather (my personal preference) feature a buttery soft "hand" and are of the highest caliber, but predictably delicate. Because larger hides sans blemishes are relatively rare, leather piecework from less expensive hides cut costs in lower end chairs. Bottom-line? You gotta count the seams: the more seams, the greater the chance of lower quality. Additional features to look for include suede or mohair trim, curved maple legs, carved detailing of the wood, and chairs studded with antiqued brass nailheads following the grooves of its solid wood frame. The Dunhill model (featured in my own Manhattan pied-à-terre) features eight-way hand-tied seat springing. This helps ensure that satisfying club chair “sink”. As God intended. Going vintage brings its own issue: beware for older leather may crack or peel. Then there’s the busted springs. Once it gets to that stage, it's difficult to repair. World Premiere of "MURDER AT THE MASQUE"
"You are cordially invited to attend the world premiere of Patrick Soluri's new ballet score, "MURDER AT THE MASQUE: The Casebook of Edgar Allan Poe." The score was commissioned by Dances Patrelle to help celebrate their 20th Anniversary Season. It will be the 4th collaboration with esteemed choreographer Francis Patrelle and his company. 68th Street btw Park & Lexington Ave. I'll be speaking at a FREE event at the Barnes & Noble across from Lincoln Center at 7pm (66th & Bway). I'll be joining several special guests - including choreographer Francis Patrelle, writer Justin Allen, ABT dancers Marcelo Gomes and Maria Riccetto, and Prima Ballerina Cynthia Gregory to celebrate the 20th Anniversary Season of Dances Patrelle and the world premiere of the new ballet, There will be costume sketches, set designs, a preview of my music and even a short performance. 2009 marks the 200th Anniversary of the birth of one of America's most treasured literary masters, Edgar Allan Poe. Featuring characters and setting drawn from Poe's stories and poems, "Murder at the Masque" may be the world's first true mystery ballet. 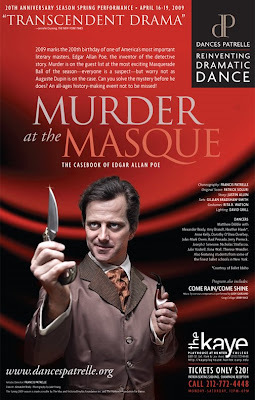 Lord Usher (danced by Royal ballet alum Matthew Dibble) has been murdered, everyone at the Masquerade is a suspect, and world famous detective Auguste Dupin (danced by Movin' Out alum Alex Brady) is on the case. Based on an original story by Justin Allen (Slaves of the Shinar), choreographed by Francis Patrelle with lavish sets by Gillian Bradshaw-Smith, opulent costumes by Rita B. Watson, and lighting by David Grill. In addition to MURDER AT THE MASQUE, the company is also reviving a Patrelle classic COME RAIN/COME SHINE (featuring songs sung by Judy Garland) and staged by Cynthia Gregory. The all-star cast includes American Ballet Theatre's Marcelo Gomes, Maria Riccetto, Isaac Stappas, Christi Boone, Gemma Bond and Roman Zhurbin." Extra! Extra! I, Fredo, have some big, life-changing news! No, I am not another lay off casualty, that happened back in November and I got a new gig within a month! No, I am not a Dad yet! What I am is on the wagon. 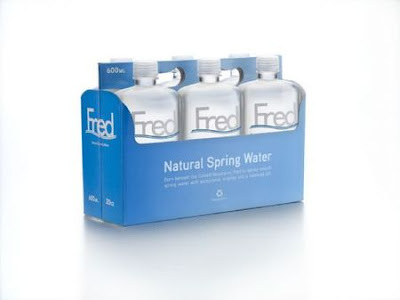 Yes, the wagon, and I could not have done it without the help of Fred™ Natural Spring Water. I know what you are thinking. How could the winner of the 2001 TWT “Don’t Bruise the Ice” Award, and the 2002 -2004 TWT Barfly of Year Awards even contemplate a world without the sweet, sweet booze? What possibly could have happened to make me change my ways? Well, after my Chancellor cocktail at Clover Club last night, I had an epiphany. See what I mean? That was March…and the ones I remember! It is about time I switched to aqua. Moreover, Fred™ Natural Spring Water comes in a flask-like plastic bottle, so it is a perfect fit for a barfly like me…I mean ex-barfly! Combine in tumbler and drink away. I have been known to drink 6 to 8 glasses of these a day. However, be warned - do not drink too much, you could get water intoxication! If you are on the wagon like me, Fred™ is the way to go. Enjoy!